KeepVid Online Audio Converter enables you to convert video & audio files to popular audio format with one click. KeepVid Online Audio Converter is an excellent online service that allows you to convert music and video files to an audio format you need. This online audio converter is totally free and it's very easy to handle. You're allowed to convert MP3, MP4, OGG and more files with one click. Add video or auidio file from your computer. You can drag and drop directly. Now you can choose an output format for your video file. Click Start button to start converting audio file. This online audio converter allows you to convert video and audio files without quality loss. 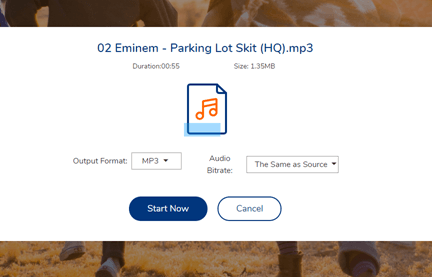 KeepVid Online Audio Converter offers selectable bitrate for your ouput files. The online video converter will accomplish the audio file conversion in seconds. 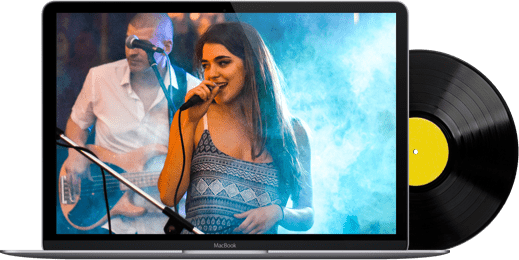 This online music converter fully supports more than 50 video and audio formats to convert. This online audio converter is fully compatible with Google Chrome and Firefox. This online music converter protects your privacy and doesn't host any file. 1. Why is the uploading process so slow? Please first take a look at the internet connection. For online service, the internet connection fluctuation may lag the uploading speed. If it's your first time to use KeepVid Online Video Toolkit, it'll take a while to load the module to make sure you can use the function successfully. 2. 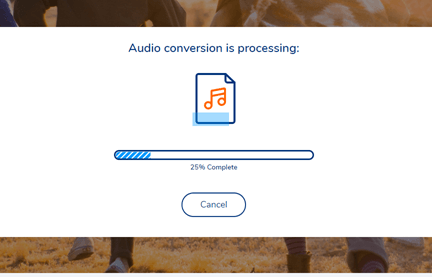 Does this online audio converter work on Mac OS? Yes. KeepVid Online Audio Converter is a web service that work with your browsers. If you use Google Chrome, Firefox or Internet Explorer on Mac, KeepVid Online Audio Converter will work perfectly. 3. How to Extract Sound from Video? If you would like to extract sound from your video, you can upload the source video from your computer to KeepVid Online Video Converter, and select an audio file as output, then start converting the video file to the target audio file. 4. I cannot open the files from iTunes with KeepVid Online Audio Converter. What should I do? The M4P files from iTunes are protected, and you need to convert them to M4A before we can read them.